With the advent of innovations like image stabilised lenses and high sensitivity sensors, we can capture more shots that ever by simply hand-holding the camera. There are some situations, however, where you’ll need to use a tripod to get the shot. Whether it’s a night scene, long exposure, a landscape, or simply that the kit you’re using is too cumbersome for you to hold still, then a tripod will be the perfect solution. But with a massive range of products available, how do you choose the right tripod for you? In this blog we’ll try and guide you through the process. 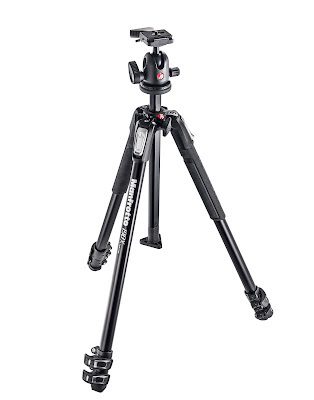 If you’re looking for a new tripod, the good news is that there’s loads of choice. Before you can begin your search, you’ll need to give some thought to how you intend to use it. Tripods come in a range of materials, sizes and weights, and you need to ensure the one you choose will help you capture the shots you want. The first step is to think about your needs, your kit and your budget. How and where you intend to use your tripod will influence its size, weight and durability. The weight of your camera body and lenses and your budget will also shape your choice. For some reason, many photographers will spend thousands of pounds on their camera and lenses but stop short of investing in a high quality tripod. As with many things in life, you’ll get what you pay for. 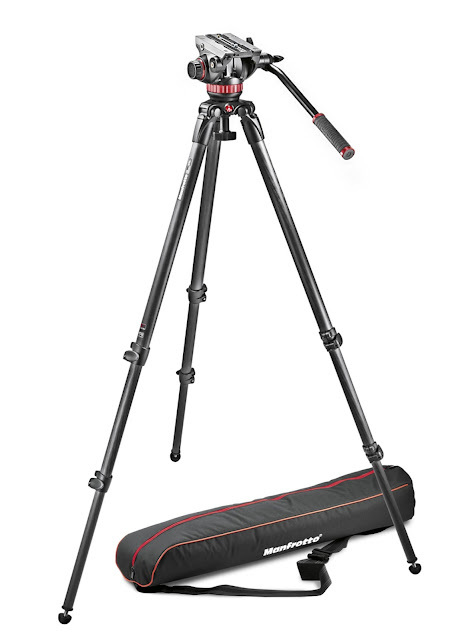 Invest in a high quality tripod and in will give you many years of loyal service. Whilst some lenses might stay at home for a particular shoot, your tripod will probably accompany you on every trip, so it’s worth paying that little bit more to ensure it does everything you want from it. 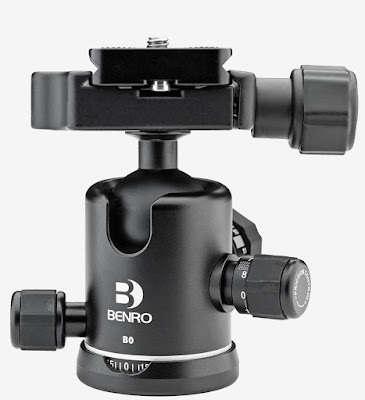 There are three main type of tripod head; 3-way heads, 2-way heads and ball heads. 3-way heads allow the camera to pan left and right, tilt up and down and also switch between landscape and portrait format. Each axis has its own locking handle, which allows for precise adjustments, but is potentially more time consuming to set up and the handles might mean that head takes up more space. The 2 way head is very similar but has no movement from landscape to portrait. They’re ideal for video or for spotting scopes. The final choice is the ball head. These are typically controlled by a single locking lever, so they’re quick and easy to setup, as well as being the most compact. They’re great if you need to get set up quickly. A recent trend has been the introduction of friction heads, where an additional control allows you to adjust the friction on the ball whilst unlocked, so that you set it to suit the weight of your camera and lens, for quick, precise adjustments. Having determined which type of head you need, you just need to ensure it has a suitable load capacity for your equipment. Ideally you’ll factor in any big lenses you might add to your collection in future. Most heads will come with a quick release plate that you can attach to your camera. The camera can simply be attached and detached in seconds, whilst some feature a safety catch to ensure your kit won’t accidentally slide off the tripod even if the it hasn't been locked. The next step is to look at the legs. Leg sections typically come in either 3 or 4 extendable sections. As a general rule, 4 sections allow each section to be shorter, making them more compact when fully retracted. If size is a key requirement, for fitting into a suitcase for travel or carrying on a daypack for example, 4 sections might be ideal. Leg adjustment is made by either a clip or a twisting collar. Clips can feel more secure, but can sometimes be painful to use. Since they don’t protrude, twisting collars are neater and simple to use. Try a few of each to see which you prefer. Most tripods will let you select more than one leg angle, so you can splay the legs further apart to get your camera closer to the ground. Ensure the legs you choose give you the creative freedom you need, ideally you’ll be able to adjust each leg individually to cope with rough ground or confined spaces. 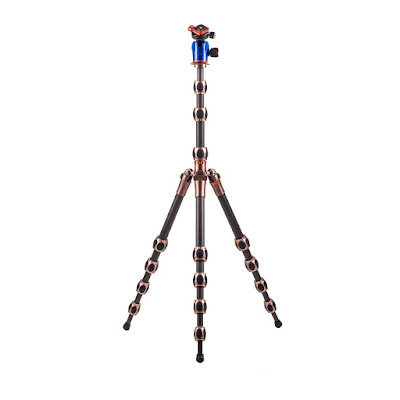 In addition, there’s a choice of materials; aluminium tripods are incredibly strong and lightweight, although it will be more sensitive to temperature. 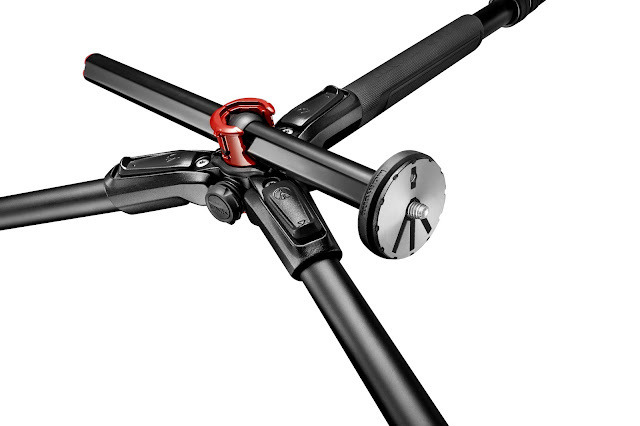 Carbon fibre tripods are stronger and lighter and your fingers won’t stick to it in the cold. To select suitable legs you need to consider weight. Firstly the weight of the tripod itself, and also its load capacity. Ensure that the legs are strong enough to take the weight of your kit – don’t forget that you’ll need to include the weight of the head too. If your legs have a 5kg load capacity and your head weighs 0.5kg, you've only got an additional load capacity of 4.5kg for your camera kit, for example. 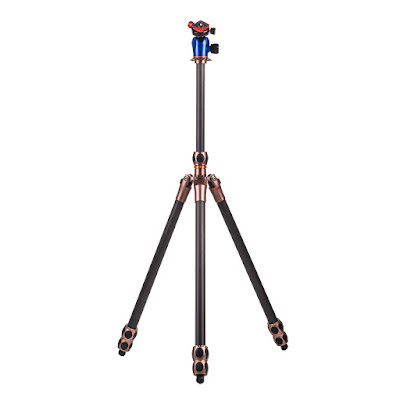 Some tripods include an extendable centre column, which adds both height and instability. If you’re doing macro work then the added flexibility to make precise adjustments to the height will be invaluable, but for landscape photography, where stability takes precedence, then the centre column is less critical. Some centre columns feature a hook on the bottom to hang your camera bag - the extra weight helps stabilise the tripod, especially in windy conditions, whilst others allow the centre column to be inverted to allow low-level shooting. A final but key consideration will be the height of the tripod. You’ll need to think about the sort of shots you wish to capture and the height you want to work at. Most landscape photographers favour a tall and sturdy tripod that will comfortably extend to eye-level, which makes framing their shots easy. Whatever your needs, there’s a tripod to suit you. Park Cameras have one of the widest ranges in the country, with over 50 sets of legs and over 50 heads available in store. Why not take a look for yourself and let one of our friendly experts help you choose the perfect model for you. Test as many models are you can before deciding. We have one of the widest ranges in the UK with models from Manfrotto, Benro, Gitzo, 3 Legged Thing, Slik, Vanguard, and Velbon amongst others. Consider spending a little more for a carbon fibre model. The weight saving could well make the difference between you taking the tripod out or leaving it at home. You can buy with complete peace of mind. 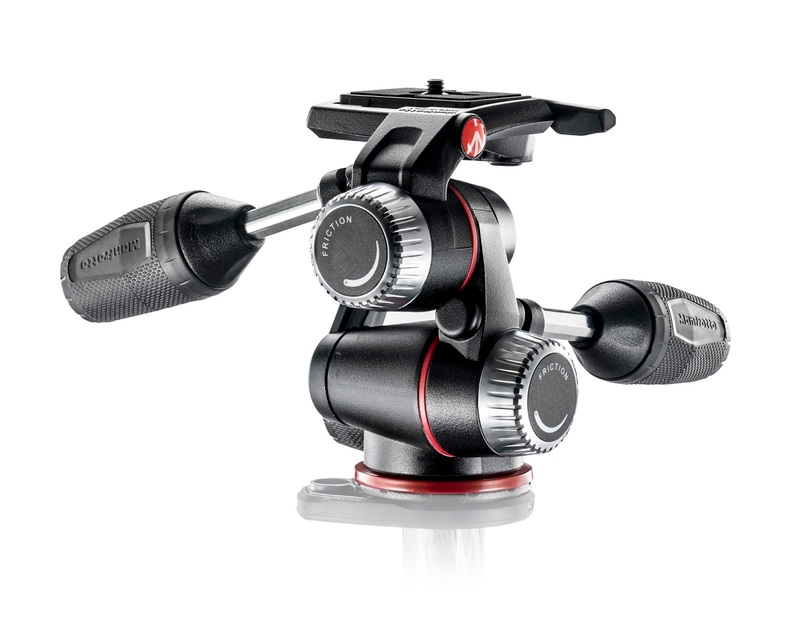 Manfrotto & Gitzo continue to supply parts for every model they’ve ever made.